town feel more like a community than many of us have ever felt. Nazis and the Trump regime where-ever they seek a public audience. of alt-reich founder Richard Spencer. 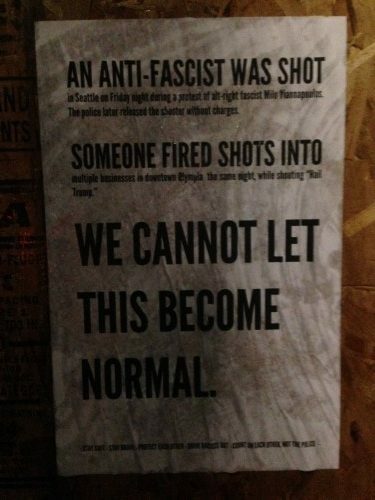 We remain committed to stopping fascists where-ever they show their faces.